ps. its in the wrong section can someone move it? The latest driver (just released) addresses these Skype issues. What is your hardware spec (CPU type and speed, Memory, Display, etc)? Did you run DPC latency tool on your system? What is the OS you are running under? Could you do a screen capture of that snow image you’re getting. Also did you try plugging your camera in a different USB ports at the back of your machine? That is strange. Does the same thing hapen in the test app? Could you capture that? Make sure you set the frame rate to 30fps and resolution at 640x480. At the beginning of the post you said that this strange lines occur even in the test app. Do they? 1. 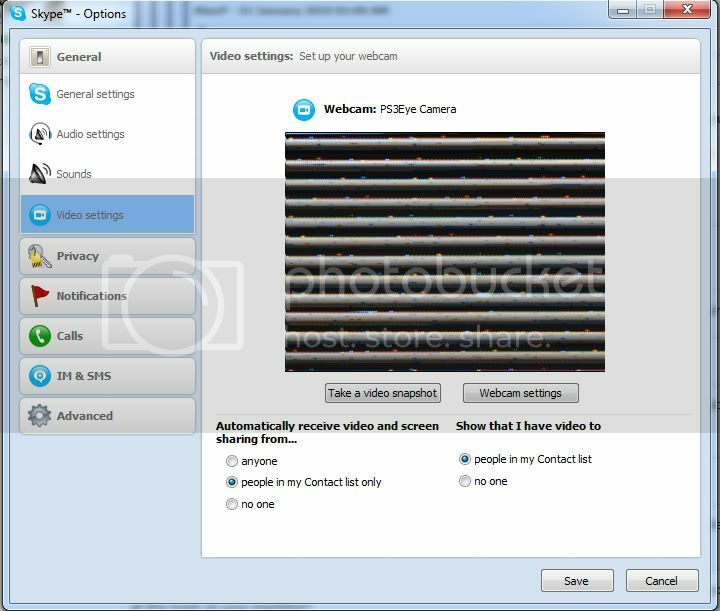 In Skype, switch to another microphone input instead of PS3Eye camera mics and test it again. On some systems there are issues running both video and audio from the same camera. Let me know if this works. 2. Run Test app, select 640x480 @ 30 fps and let it run a bit. Does the camera stop or image gets corrupted? For me it works for skype, msn gets with a fixed image though.